I have been writing about transition for nearly a year now, and during that time I have made the journey myself. It has been a very interesting, sometime daunting, and often challenging trip. I am on the other side of the fence now, and have been very fortunate to find an interesting job that helped ease my way into civilianhood. What we are going to be talking about for the next few posts is how to find a job, or at least how to present yourself in the best way possible so that you are competitive in the job market. In the military you started out just like everyone else. You were a recruit or an officer candidate with short hair and very little knowledge or experience about the military. As you progressed through training and headed out to the operating forces you learned what was expected of you and how things are done. Over time you met people and developed a professional reputation which helped you obtain desirable and rewarding assignments. By the end of your military career you had developed a solid reputation and a tremendously helpful network of peers, juniors, and seniors. Once you take off your uniform, however, your reputation largely goes with it. 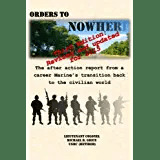 The civilian world and corporate sector will the thankful for your service but they will have no idea what you did because military service is a mystery to them. While your military network will still be around it won’t help too much because you aren’t looking for a job in the military. You just left, remember? So the long and the short of it is that you are starting over. Nobody is going to hire you just because you formerly wore a uniform. You need to do the same things you did as a young recruit or officer candidate; you need to begin the process of building a new network and a new professional reputation. We’ll start with the basics. There are a lot of things you will need to do, and it can seem overwhelming if you try to do them all at once: Build a resume. Craft a cover letter. Research where you would like to live and work. Find a rewarding new career. Meet people. Learn how things are done in the corporate sector. It’s a lot, so let’s take a look at the very first and simplest things you can do to get started. As you transition you passed through various transition courses and have probably attended some job fairs. If you were paying attention you probably saw people chatting here and there, and at some point in the conversation they exchanged business cards. They are networking. You need to network too, and in order to network effectively you will need to get some business cards. They are important because when you are hunting for a job you are competing with a lot of other people, and as you network you will be meeting men and women who can help steer you towards a new career. They are not going to remember your name or even who you are if you don’t give them something to carry away with them; after all you may be one of many people that they meet on any given day. I guarantee that you will not get a call from someone who does not know your phone number. Help them and you by giving them a card. Your card. Not all cards are created equally. There are services that will print them up for free (with an advertisement for the company on the back, of course) and you can print them on your home computer as well. If you don’t have anything (or even worse, if you only have cards that have your old job and contact information on them) you can use those services or print your own until you can have some quality cards made up. I am a fan of spending a few dollars to create a high quality professional looking card. Anybody can get free ones or print their own and that telegraphs that you are either cheap or not motivated enough to increase the quality of your business cards above the masses. Remember – the card is a representation of you. It is all that the person you handed it to has to remember you by, so make sure that you leave a good impression. I recommend going to a stationery or paper store that produces business cards. You will be surprised at the incredible variety of products available, with myriad colors, shapes, fonts, and cardstocks to choose from. Take a look at the catalogs from the perspective of how you want to be represented and remembered. A rule of thumb is to be conservative because that is what is expected in the business world, which is white or off white. A scarlet card with gold letters may make your heart glow with its familiar Marine Corps colors but it will not help you build a network in the business world because it will show that you cannot let go of your past. Remember, you are out to make a whole new set of first impressions! Select a font in a size that isn’t obnoxiously big or unreadably tiny. Put on the card only the information relevant to you and your job search. Avoid quotations or sayings that may put people off: “If you ain’t infantry you ain’t squat” may be pithy around the barracks but is actually insulting when you are looking for a job from a non-infantryman in the corporate sector. And none of them are infantrymen. Pick a cardstock that is heftier and stronger than the cards you can get for free. They feel cheap. You want something that presents you as a serious and high quality person, and a solid card is a good way to to start. Finally, decide what you want printed on your card. I recommend that you go with the basics at first: Your name, contact telephone number, and email address. Don’t put your callsign or nickname because it comes across as being a bit amateurish to people who don’t understand why people call you “Smasher” or “Speedy”. It is more formal to put down your whole name, but it is OK to put down what you prefer to be called. If you are named Patrick but go by Pat feel free to go with it. After your name include the best contact information – after all that is why you are printing these things up in the first place. I recommend that you put down your cel phone as that way you are more likely to be there in case you are called, but remember to update your voicemail greeting to sound professional or they will hang up before leaving a message. Also include your email address, but like the voicemail you may need to update it in case it is incomprehensible, odd, or inappropriate. Email addresses like “drunkdude@whatever.com” will not get you a job. I promise. So go out and have some cards made up. Carry them wherever you go because you never know when an opportunity to network will come up. Have a few in your wallet or purse. Throw some in the glove compartment of your car. Have extras in your briefcase. Always keep spares around, because you never get a second chance to make a first impression, and your best first impression comes with a strong handshake and a professional business card. 1. You are starting over. Your network from your military career is not the one that will get you into the corporate sector, so you need to start getting out and meeting people. 2. The expected token of networking is the business card. Get professional looking and feeling cards made professionally as soon as possible. 3. Avoid military “-isms” on your card such as callsigns, rank, Military Occupational Specialty, etc. You are selling yourself as a future employee, not a servicemember. This entry was posted in Transition Posts and tagged Business Card, Correspondence, EAS, Employment, Networking, Retirement, TAMP, TAP, transition. Bookmark the permalink.